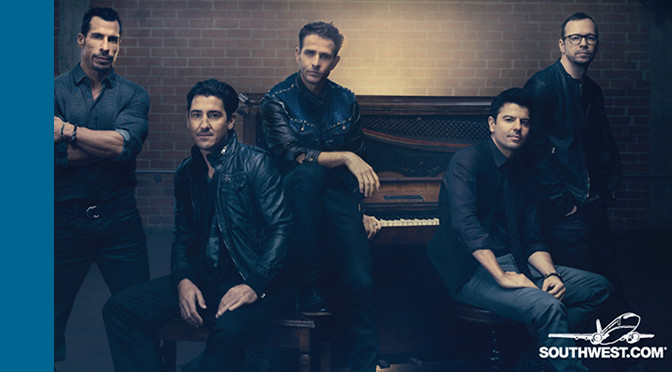 The New Kids on the Block have set up a contest associated with the “NKOTB After Dark” events in Las Vegas that are scheduled from July 10th until July 13th. The contest is realized by Southwest Airlines. For a chance to win the contest you need to comment below the airlines’ Facebook post, telling them your favorite NKOTB lyric. Please note: The contest is US only! The announcement and the rules can be found below or via NKOTB.com. 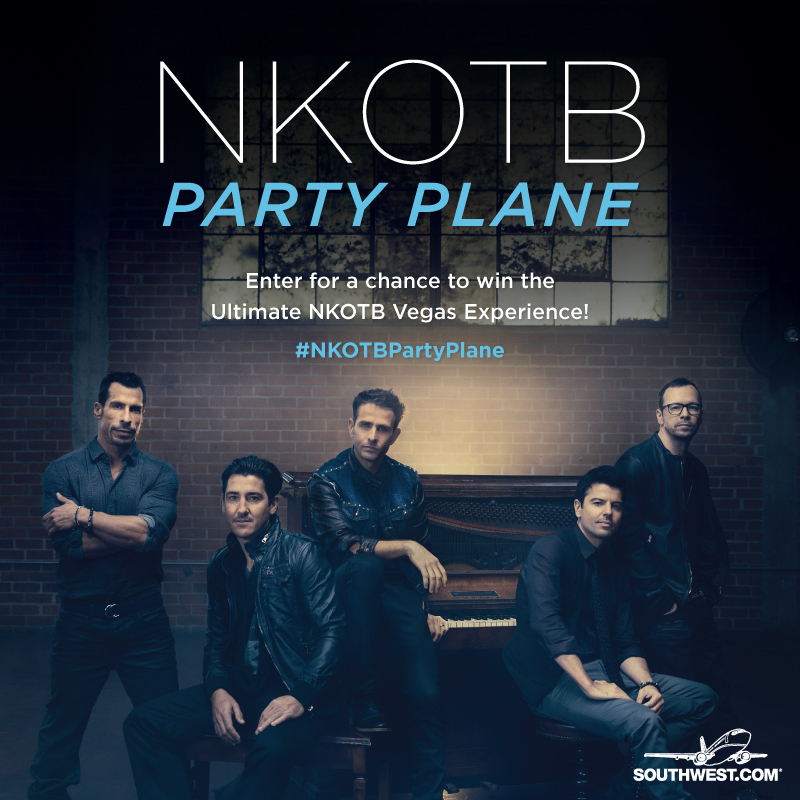 Southwest Airlines and New Kids On The Block are excited to give lucky fans and a guest tickets on the NKOTB Party Plane to fly with the band this July for their exclusive engagement at The AXIS powered by Monster at Planet Hollywood Resort & Casino in Las Vegas. Winning fans will not only receive a flight to Vegas from Chicago, but they will also receive flights to Chicago to catch the NKOTB Party Plane if they aren’t within 50 miles, two nights of hotel at Planet Hollywood, tickets for them and a guest to the opening night NKOTB concert run at The AXIS powered by Monster at Planet Hollywood, after party tickets for a private NKOTB party on July 10th, and flights home. Fans can enter for a chance to win on Southwest Airlines’ Facebook Fan page at www.Facebook.com/southwest, as well as a chance to win by entering at www.NKOTB.com.